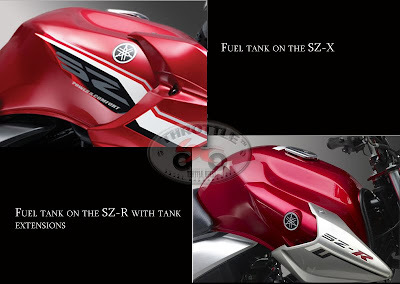 The Yamaha India official website has been updated with the details of the new Yamaha SZ-R. 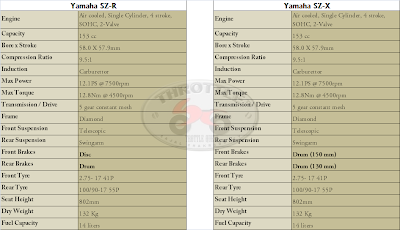 Some time back when the SZ-X was launched, the major criticism the bike faced was that in today's time, when people don't get 125cc motorcycles without a front disc brake, why was this 150cc motorcycle from Yamaha was sans it. 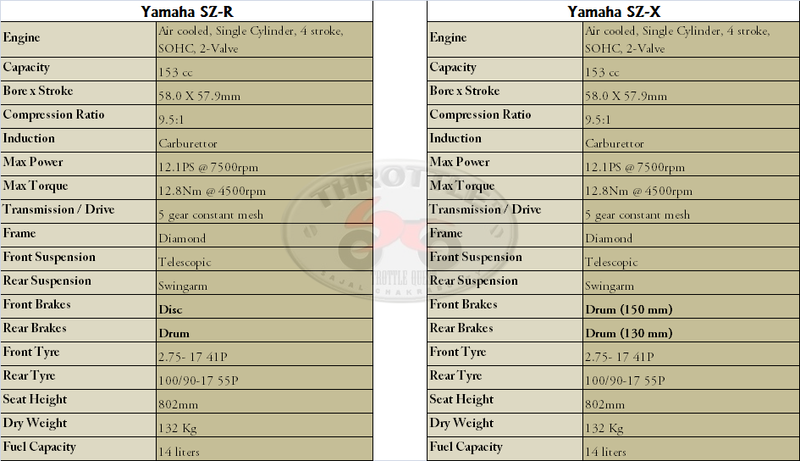 So, Yamaha takes note of the criticisms and market sentiments and what you get next is, a revamped SZ-X with front disc and a bit souped up looks and christened as Yamaha SZ-R. Let's have a quick look at the spec comparo of both the bikes to get a clearer picture. So the only thing that has changed in the specs of the SZ-R is the addition of the front disc and the rest of the specs of the motorcycle remains exactly same as that of SZ-X. 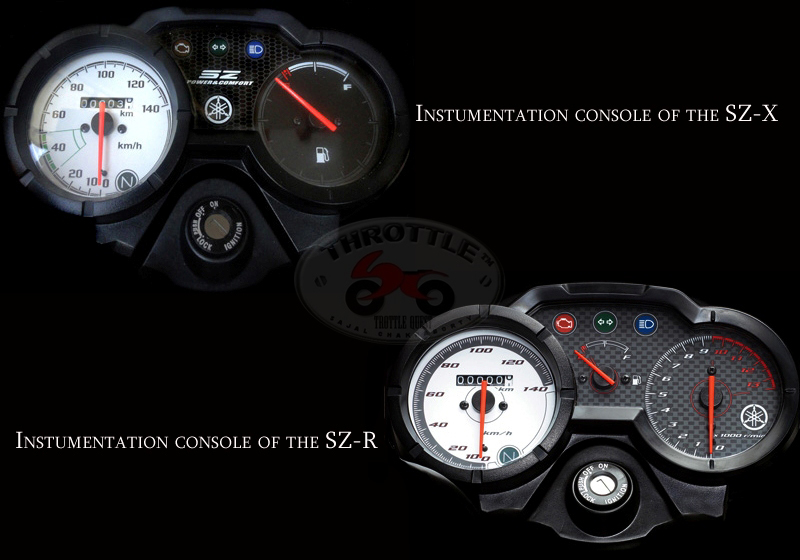 The instrumentation panel gets a neater coloring on the SZ-R. So, all in all, Yamaha India has tried to make the Yamaha SZ-X more appealing to the masses in the form of SZ-R and truely speaking they have succeeded in doing that quite a bit. 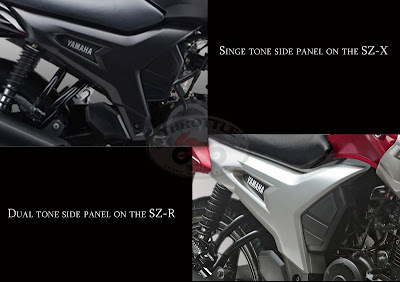 Apart from the changes mentioned above, the Yamaha SZ-R would be available in three color options as against the Yamaha SZ-X which is available in only two color options. Truly speaking I have not seen much of Yamaha SZ-X on roads of Delhi/NCR as of yet, but I really hope that the new SZ-R changes that trend. 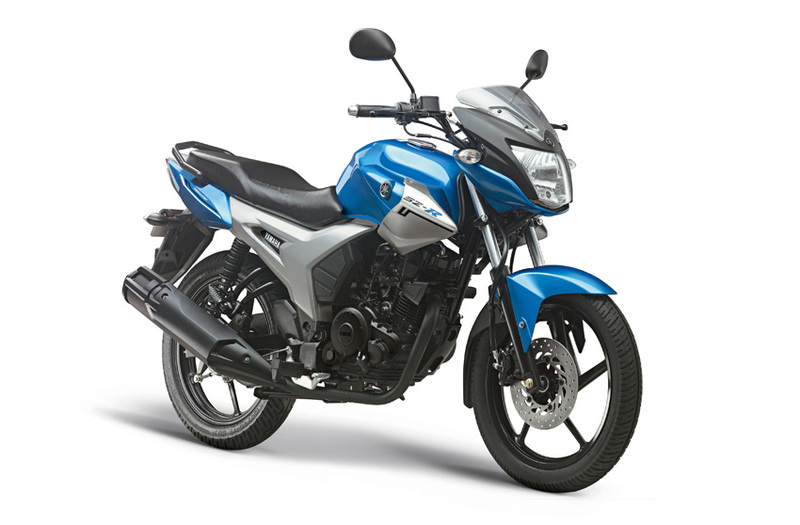 I feel the SZ-R is a good overall 150cc executive class motorcycle and a true competition for the Bajaj Discover 150. Ahhh I see... thanks for pointing it out bro. Would surely rectify it.